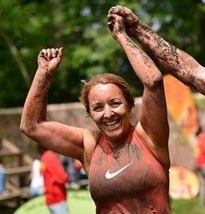 I joined Forget the Gym in 2012 and I signed up for two classes a week, Beach fit and Fun Run. I quickly loved the classes and then discovered the added bonus of the social side of FTG. 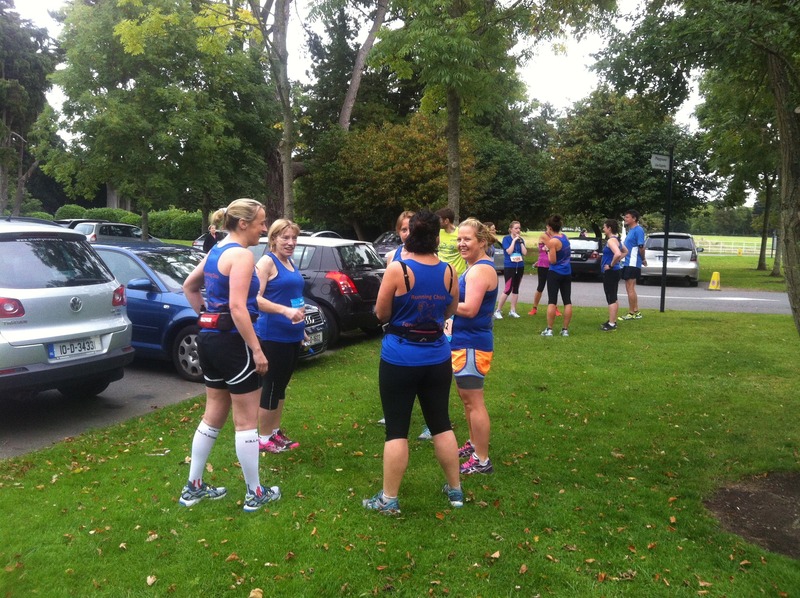 During that summer I signed up for lots of fun runs and it was great to be part of a group. We would meet before the runs and go for drinks after the races. At that time the furthest I had ever run was 10km and I was very content with this. I could not understand why anyone would want to run any further. Then something changed in me, and with the encouragement of Mary and all her team and the friends I had met at Beach fit and Fun Run I found myself signed up for the Dublin Half Marathon in the autumn of 2012. I attended the FTG half marathon training course and trained with all the gang every Saturday morning during that summer. Much to my disbelief, I completed my first half marathon in 2.04 mins. That was the start for me. I did not believe that I could ever run 13 miles and I had. I was so proud of myself but like before I said to myself that 13 miles is far enough and why would anyone want to run any further. So I continued attending classes with FTG and went away to France and did the Beaujolais Half marathon dressed in a tutu drinking wine along the way. Lots of girls in the group had run the marathon and I was in awe of them. I kept thinking that they were all just normal people like me and not the elite types that I always believed could only run marathons. Through chatting to them I began wondering if it was something that I could do. I secretly decided in January 2013 that I was going to do the Dublin City Marathon in 2013. I was afraid to tell people at this stage as I was still very unsure that I would be able to run 26.2 miles. I had done very little running over the winter but I could still remember the amazing sense of achievement after doing the half marathon. The memory of the old me was also still very much at the forefront of my mind too. I hated sport in school, had membership to gyms that I never attended and I was always on diets but never lost weight. In my late 20’s I lived with a friend that ran and I remember vividly one day sitting on the couch watching her run down the road and thinking she was crazy but that was the old me and I never wanted to go back there. The new me believed in myself, was full of confidence and happy with my appearance. I also had lots of new friends through FTG. After taking the winter off from running I started classes with FTG for Spring Term in 2013. I did two classes a week Beach fit and Strength and Speed and usually ran two other days a week. By May 2013, I started telling people that I was thinking of doing the marathon. 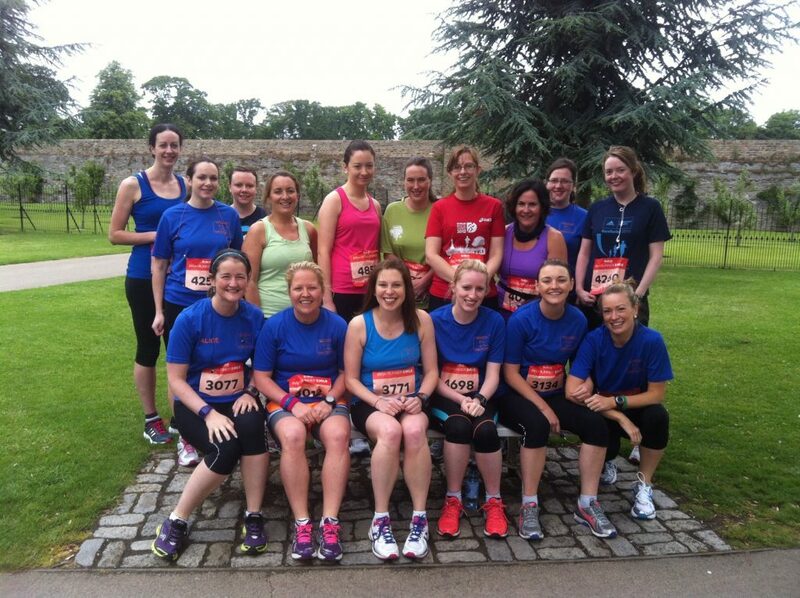 I did a few 10 kms races that spring which went well and signed up for the Dublin Race Series. 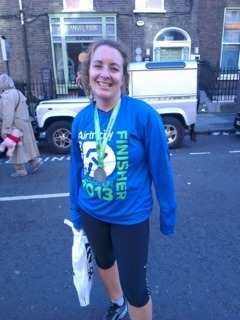 The next step was to sign up to Mary’s Marathon Training Course for First Timers. There was no going back now. I remember the workshop of the programme. We all sat around in a circle, lots of nervous energy and most of us terrified at the prospect of what we were committing too. Mary talked us through what we were going to do and how we were going to achieve it. She made it sound so easy. She gave us a training plan which fit on one A4 page! We watched inspirational videos of the marathon, talked about our hopes and fears for the run. I left the evening full of confidence and delighted that I made the decision to do this. 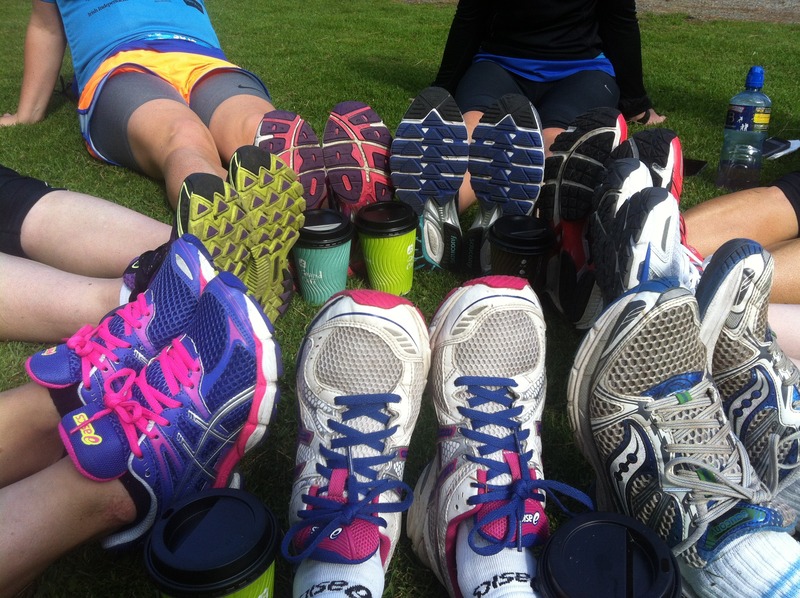 Long runs were arranged and a Facebook group was set up. I attended most of the long runs. I dreaded and loved these at the same time. Some weeks I would have a great run and other weeks Iwould find them very tough. The amazing thing about the group was that we were all there for the same reason, if I you were having a bad day everybody understood and you were helped through it. The bond that we formed on these long runs was amazing. We were running together in sunshine, rain, hail and wind. We shared all sorts with each other. Friendships were forged that I believe will last a very long time. My favourite moment of the long run was the coffee and scones afterwards. We would sit there for hours afterwards in the sun, on the grass sharing running stories, discussing our various running ailments, our recent holidays and not to mention the highs and lows of our daily lives. Since the Dublin City Marathon I have continued running with FTG attending classes twice a week. During the winter months, helped by the FTG Long Run Facebook Group, I met a few of the girls (or running chicks as we like to call ourselves) and ran every Wednesday evening. On the odd Wednesday we would run and then go for pizza and drinks afterwards. These were my favourite runs. There has been FTG weekends away with runs thrown in for fun. 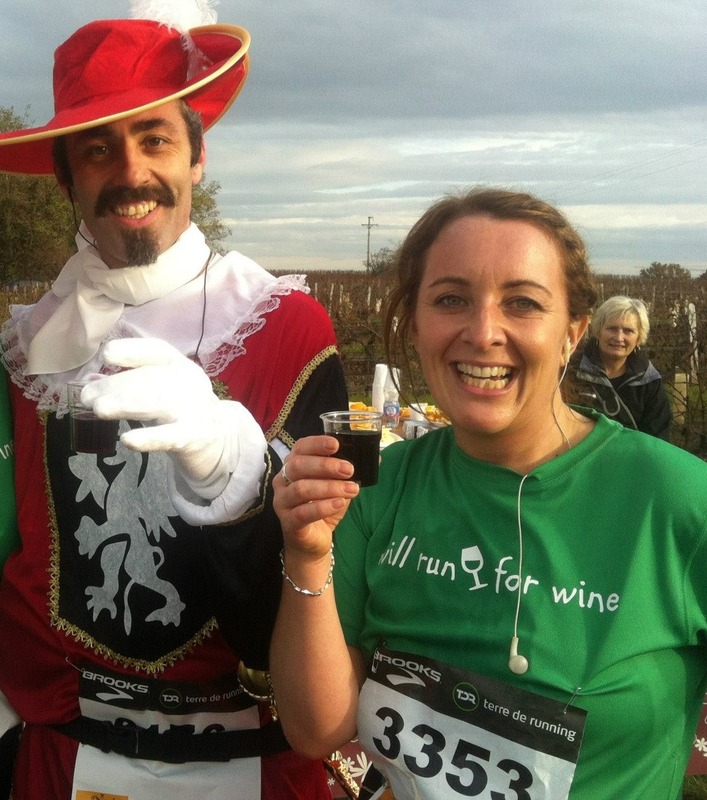 One to Beaujolais and the other was to Limerick to do the half marathon. Then on a night out with FTG after a few cocktails. I agreed to sign up to Gaelforce. It is an adventure race which includes, running, cycling and kayaking. In preparation for this we go hill running one night a week, and then do a cycle and run at the weekend. The thought of this race also terrifies me but I always hear Mary’s voice saying “Trust the Training” and I know that I will be able to do it. Through FTG I have met amazing people and made brilliant friends and through the encouragement from everyone in FTG I have found a confidence and an inner happiness that I never had before. I now know that I can achieve anything in life if I put my mind to it. 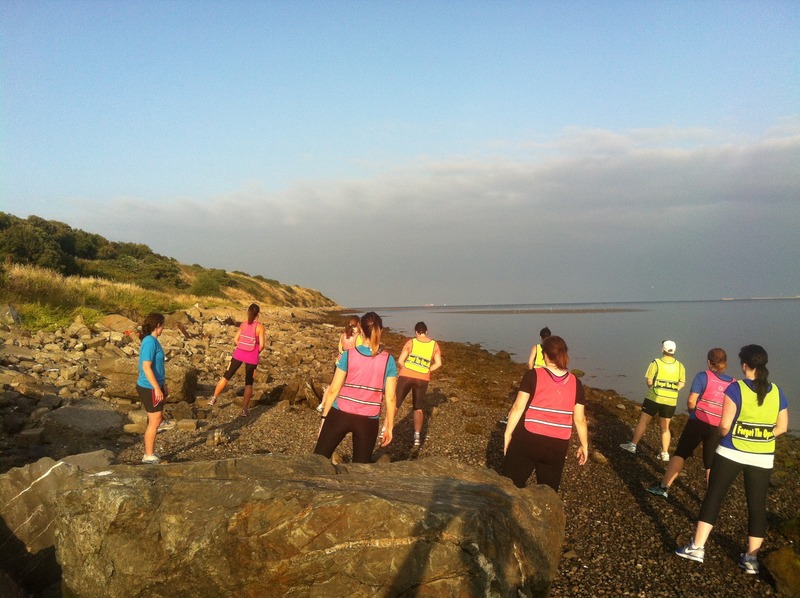 I will always be grateful for the day that I went for a walk on Sandymount Strand and spotted Mary teaching a class with all the girls in luminous pink and yellow vests. I thought it looked like fun and that it would be a great way to meet new people. I emailed Mary that evening and since then I have not looked back. Read more Success Stories from our students….